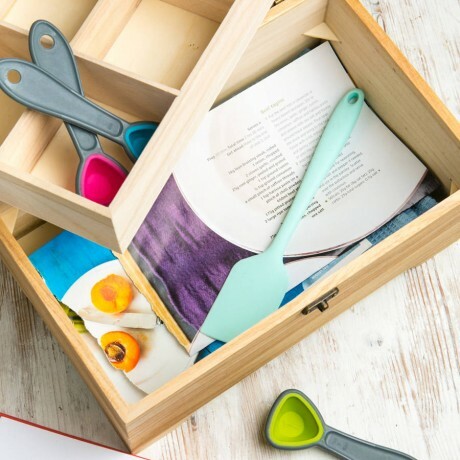 This wooden latched box makes a wonderful personalised recipe box to help budding chefs and star bakers keep all their inspiration in one place! 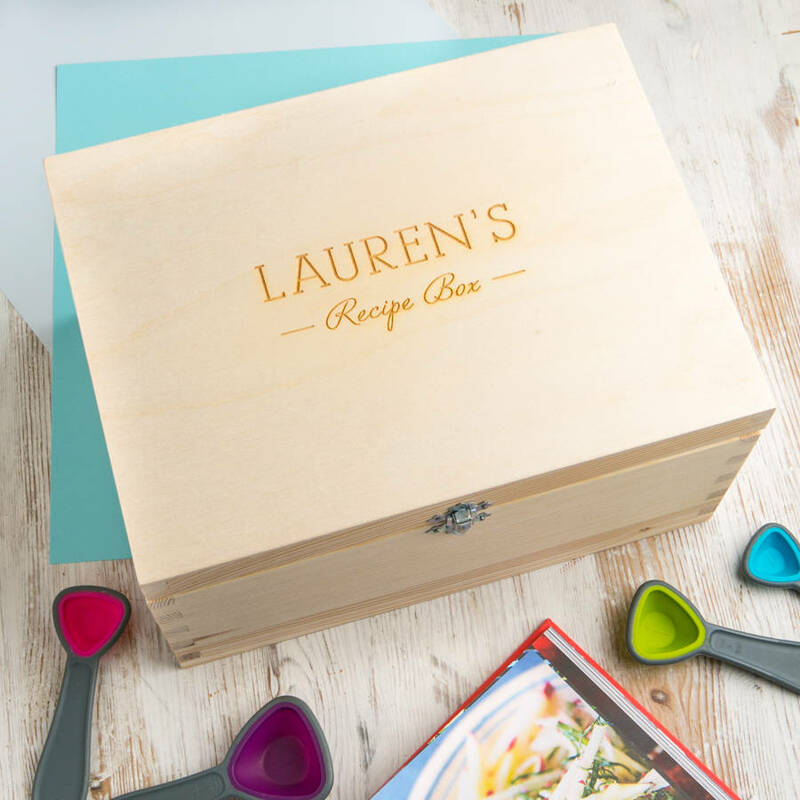 This personalised box is a lovely gift for foodies, especially at Christmas, and can be personalised with their name on the top, plus a special secret message on the bottom. 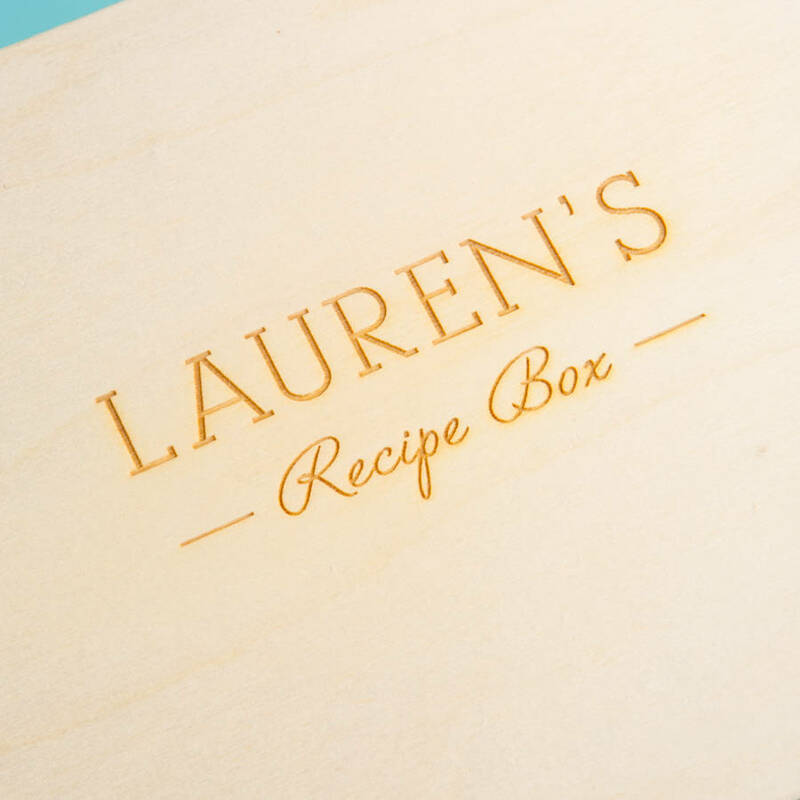 There's a special vintage feel to this box, and it's a wonderful way to hold family recipes or new creations. Crafted from fine quality wood, the box has a simple rustic look that highlights the beauty of the natural grain. 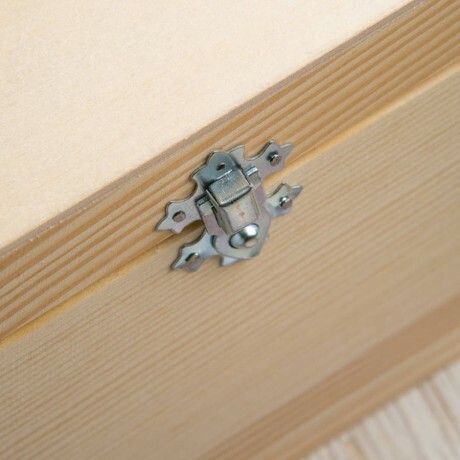 Any words you like can be engraved on the top and bottom, and the box is finished with an antique finished latch built to last a lifetime. 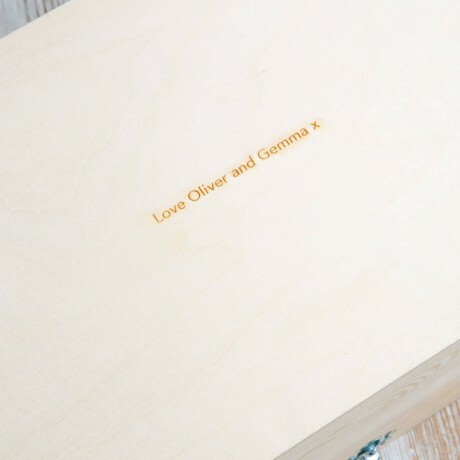 Add the option to engrave a secret message on the bottom of the box so they'll never forget who gave it to them! UPPER CASE & lower case lettering: Please get in touch if you have any enquiries related to uppercase and lowercase letters within your engraving. PLEASE NOTE: Box is sold empty - products in photographs not included.